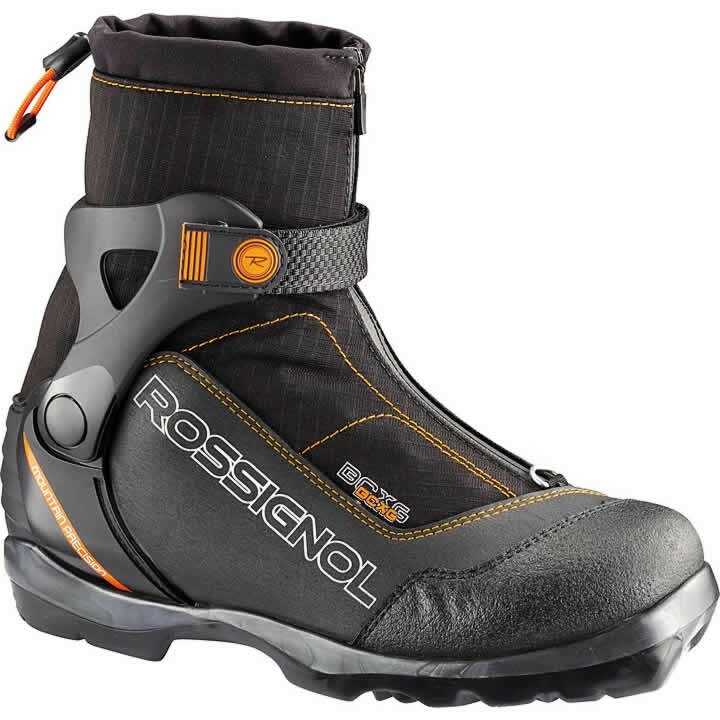 The Rossignol BC X6 is a versatile backcountry touring boot featuring Cordura® lace covers and Thinsulate® lining to provide increased versatility, durability and warmth for backcountry skiers. The free-hinge cuff with velcro powerstrap provides increased stability, power and control. Featuring new external cuff gaiters, ultra-durable Cordura® lace covers, Thinsulate® lining, and a Thermo-moldable fit, the BC X6 delivers unmatched comfort, durability and warmth for exploring off-trail. 3D injection High Cuff free support - Optimal freedom of fore/aft movement combined with torsional rigidity for total control. Adjustable velcro strap - For more support and control. Polyester Thermo Adjustable Fit - Thermoformable materials are heated so that boot volume can be changed. The boot adapts itself to the foot. Tailor-made for comfort, precision, and feel. Thinsulate® - made from polyester and polyolefin microfiber that are thermally bonding. Thinsulate® traps and keeps air better than classical insulation. Thinsulate® is excellent in compression and dimensional stability and will perform year after year. Speed Lace Lock - Rapid, easy closure for better support of the foot and more precision.